Kurtis Patterson's maiden Test century against Sri Lanka in Canberra has reinforced his ability to handle the moving ball ahead of the Ashes. Australia's vulnerability against the moving ball is a huge Ashes concern but it's far from a worry for newly minted Test centurion Kurtis Patterson. The New South Welshman has soared into Ashes calculations after scoring an unbeaten 114 in the second Test against Sri Lanka in Canberra. Making just his second Test appearance, Patterson was dropped at short leg off the first delivery he faced, but went on to make Sri Lanka pay with a superb knock which helped Australia to a mammoth first-innings total of 5(dec)-534. The tourists were 3-123 in reply at stumps on day two. While Joe Burns (180) and Travis Head (161) had already taken the wind out of Sri Lanka's sails, Patterson still had to navigate a dangerous period against the second new ball which the tourists used to produce ample swing. Marcus Harris and Usman Khawaja both fell cheaply against the moving ball but Patterson thrived - a welcome sign as Australia prepared for the challenge of facing Jimmy Anderson and Stuart Broad on green decks. "I like playing it when the ball's moving, to be honest," Patterson said. "Generally, there's more slips, bowlers are more attacking and the captains are more attacking so there's a few more gaps in the field for someone like myself who doesn't really try and hit the ball too hard. I just like to lean on the ball and time it. "It's obviously a different challenge and it brings in more modes of dismissal. But I think that I go OK against the moving ball." 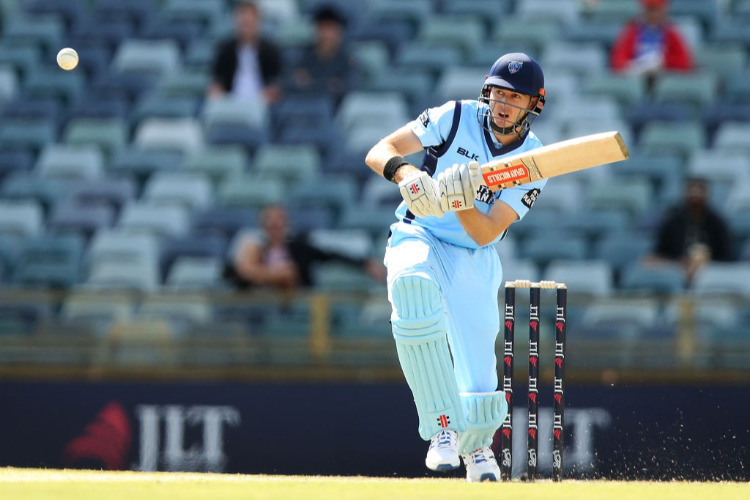 Patterson will look to reinforce his Test claims during the second half of the Sheffield Shield season and also hopes to be picked for a mid-year Australia A tour of England which might end up as a shootout for Ashes selection. The 25-year-old has also given some thought to joining several of his Australian teammates in seeking an English county deal. "It has been lightly spoken about with the relevant people," Patterson said. "I think it's a bridge that I'll cross once these next three days are over. It's always been something that I would really like to do."